Trying to reach the people of Swindon? We've 15 years experience of doing just that. 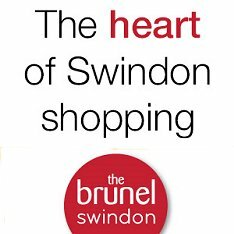 Swindon has more households connected to broadband than any other town in the UK (see BBC link below), and SwindonWeb is a unique website perfectly placed to reach them. Online since 1997, SwindonWeb features links to all kinds of Swindon-related sites - and much, much more. With our constant advertising, SwindonWeb Minis and a site that just keeps on getting bigger and bigger, our audience is ever increasing - especially those online at work in Swindon. They log on for jobs, property, eating out, what's on, shopping, news and loads more everyday - and they're all one click away from finding your website if you're on SwindonWeb. So why not let us push our audience your way? Well, we all like that, don't we? And we offer a FREE standard link to any Swindon-related website in our A-Z, but we do charge for business categories in most circumstances. Links for non-profit making organisations in categories are FREE. Registration to mySwindonWeb Business is also FREE, which gives businesses the opportunity to post business-to-business opportunities. Prices start at £15+VAT per month for an enhanced link in the A-Z plus a logo listing in one category - and the opportunity to post special offers on myswindonweb, now with over 20,000+ registered users. Animated box and banner advertising (those in the right-hand column of the site) start from as little as £35+VAT per month. Please contact us for full details on what's currently available. We always have a number of exciting sponsorship opportunities for those looking to advertise alongside our hugely-popular video content. Please contact us on (01793) 862020, or email us at admin@swindonweb.com, for full details on multi-category entries, highlighted entries, box and banner advertising. There really is no point having a website unless people are looking at it! SwindonWeb reserves the right to decline to link to any website which we feel is inappropriate to our audience or for any other reason which we may decide.